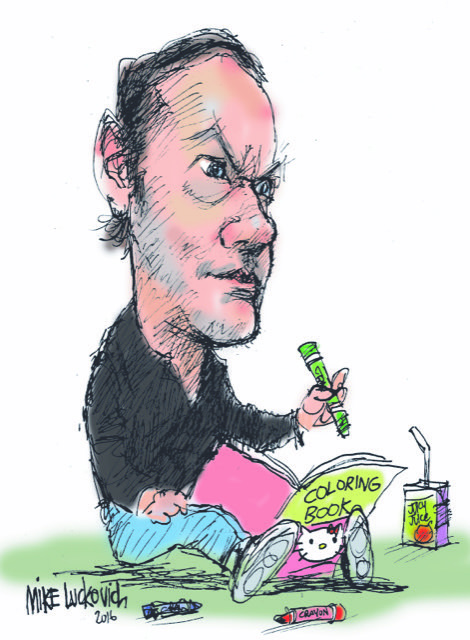 ArtsATL interviews Mike Luckovich about editorial cartooning and The State of The Union. From one side of the fence to the other. 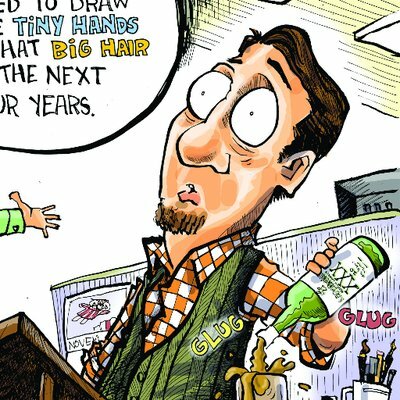 Poynter gave Antonio Branco a call and talked editorial cartooning and The State of the Union. Antonio Branco was picked up last month by the Creators Syndicate, whose roster includes Pulitzer-winning editorial cartoonists Mike Luckovich and Michael Ramirez. Come on, Mr. Ramirez. Help America and find something good. and one reader is not happy with the cartoonist’s attitude. 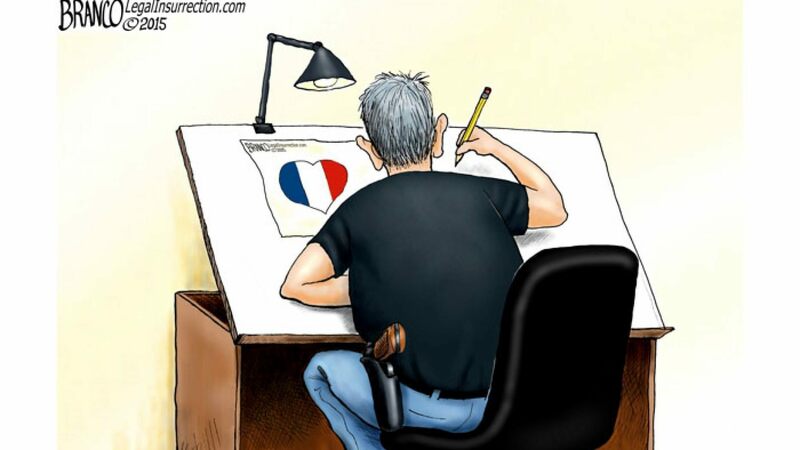 [Phil Hands] was only 16 when he began drawing editorial cartoons for the Grosse Pointe News. The Grosse Pointe News reports on local boy that made good. …when you put hyper-provocative imagery in a cartoon, people stop thinking with their brains and let their emotions overpower them. Steve Breen recently talked to a group at Point Loma Nazarene University. The Philadelphia Inquirer reports on Steve Kelley joining the Post-Gazette staff. How come most of the news items on Steve Kelley joining the Post-Gazette are more about Rob Rogers than about Steve Kelley? 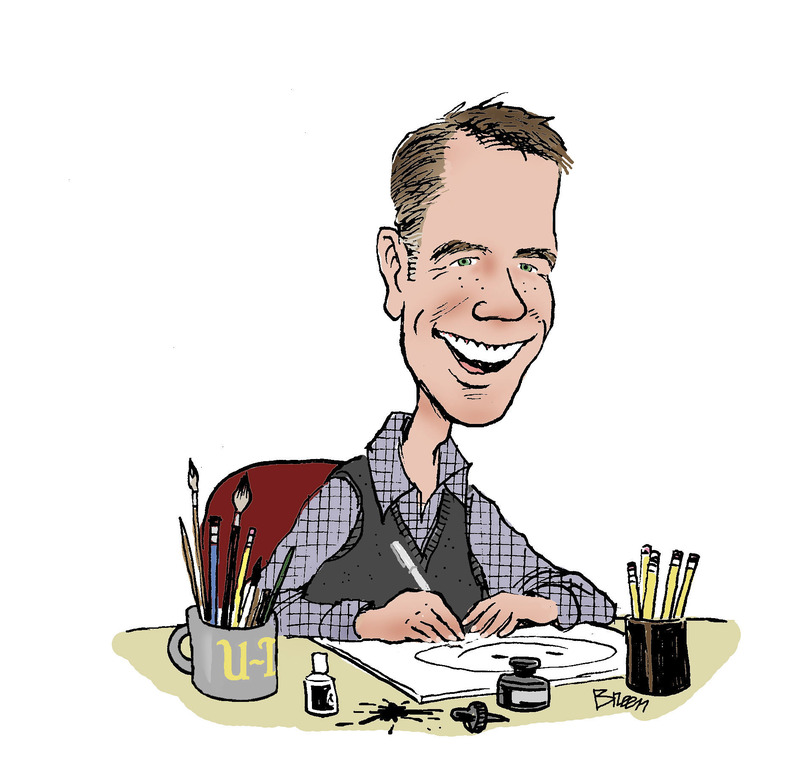 * Jeff Parker, Steve Kelley’s partner on Dustin, supplied us with a self-caricature by Steve. Jeff says its about 10 years old, but Steve ages at the rate of a Vulcan so it is still applicable. 28 queries in 0.303 seconds.